KARACHI: Gunmen opened fire on a UN vehicle in Pakistan's volatile city of Karachi Tuesday, wounding a foreign doctor working on a polio immunisation campaign and a local driver, officials said. The shooting, which happened in the low-income eastern neighbourhood of Soharb Ghoth, was the latest sign of disturbing resistance to a widely publicised three-day vaccination campaign, which began Monday. The Taliban have banned immunisations in the northwest, condemning the campaign as a cover for espionage since a Pakistani doctor was jailed after helping the CIA find Osama bin Laden using a hepatitis vaccination programme. “A WHO vehicle was fired upon with gunshots. One international staff and one local driver were injured in the incident,” Maryam Yunus, spokeswoman for the United Nations' World Health Organization, told AFP. She said the doctor from Ghana and the Pakistani driver had been transferred to a private hospital in the southern port city where their condition was stable. “They are out of danger,” Yunus said. 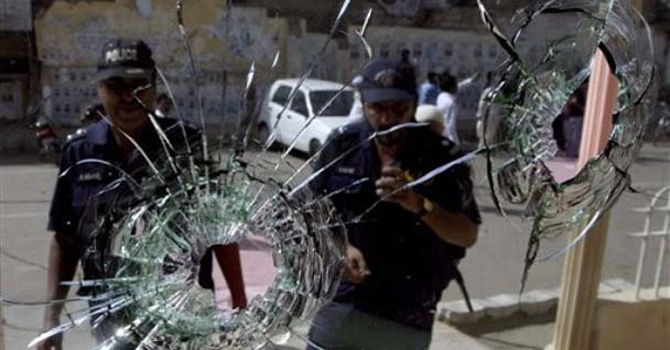 Attacks on foreigners are rare in Karachi, but parts of the city are highly volatile. Ethnic, sectarian and politically-linked violence has killed at least 740 people in the city so far this year alone, rights activists say. Police blamed the shooting on two Afghan men. Soharb Ghoth neighbourhood is home to thousands of Afghan refugees and migrants from northwest Pakistan looking for work in what is Pakistan's largest city, with a population of 18 million. 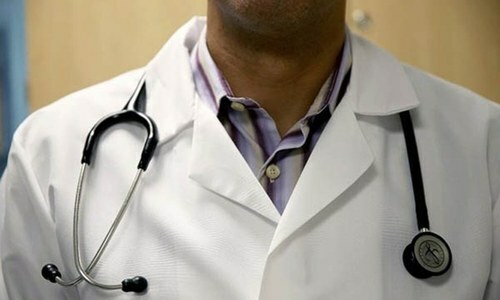 Local police station chief Mohammad Sultan said the doctor could have been targeted deliberately, because he had been working in the neighbourhood for about three months. “It could be related to the polio campaign, as there is resistance in the population against it. We are, however, still investigating the real motives,”Sultan told AFP. The UN staff were travelling in an unmarked, white double-cabin pick-up. Local TV channels broadcast footage of bullet holes in the vehicle. A health expert, speaking to AFP on condition of anonymity because he was not authorised to speak to the media, said the attack was the latest in an alarming trend of violence against polio workers. 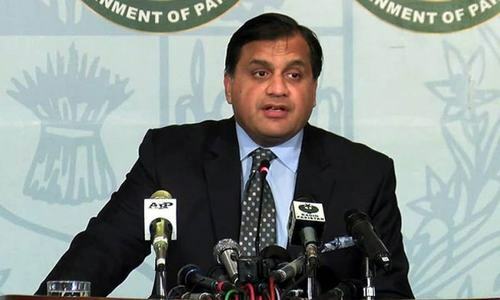 He said there had been threats and announcements in mosques branding the vaccine anti-Islam and blamed “a new wave of attacks on polio workers” on the CIA's use of Pakistani doctor Shakeel Afridi to help find bin Laden. The doctor was jailed for 33 years in May after helping the CIA find Osama bin Laden using a hepatitis vaccination programme as cover. “It has become a very serious and critical issue. People suspect foreigners involvement in the programme and fake campaign by Afridi has given further credence to conspiracy theory,” he said. He said polio workers were beaten in the capital Islamabad on Monday, a team fired on in the southern town of Jacobabad and a motorcycle stolen in the southwestern town of Ziarat. “It is an alarming situation because neither the government, nor international aid agencies have a clear strategy to deal with this issue,” he said. WHO said later Tuesday that there was currently “no evidence to suggest that this was a deliberate or targeted attack against polio eradication efforts or WHO”. Pakistan is one of only three countries where polio remains endemic, along with Afghanistan and Nigeria. The Taliban ban and insecurity have forced officials to postpone inoculations in parts of Pakistan's northwestern tribal belt, jeopardising the health of more than 350,000 children. Pakistan says 34 million children under five will be targeted in the campaign that runs until Wednesday. The highly infectious disease affects mainly the under-fives and can cause paralysis in a matter of hours. Some cases can be fatal. The Lancet medical journal has said vaccination problems led last year to Pakistan's highest number of polio cases in a decade, 198, compared to 144 in 2010. It's the reaction of that news about Osama bin laden spying by a campaign of hepatitis vaccination through Dr;Afridi. This is what every Pakistani is paying the cost of war between America and Taliban. We should all condemn it in stongest words. There is no excuse for that. People have to get up and say enough is enough. I really don’t understand what is the problem with vaccination? It’s to save their own children. I believe its height of ingnorance. Talibans are putting the future generations to jeapordy due to ignorance. Dr. Afridi is not the cause of any ignorance. Dr. Shakeel Afridi did help to put the World's most wanted criminal and instead of putting him behind bars, should have been awarded. What a sick twisted world Pakistan has become when they justify Taliban attacks on Doctors who are trying to protect children...Wake Up...the Taliban is your enemy...they are killing More Pakistanis than NATO.. This is the price the very poor polio-ridden children of Pakistan are paying for the espionage activities of afridi.He will be responsible for all the children that will now suffer from this terrible disease.How many americans spy for Pakistan in America and what was he trying to prove? Dr AFridi's works, helped trace Osama. And he was presecuted within 4 months. And Mumbai attack mastermind, could not be presecuted in 4 years. Awesome judicial system. Shame on you. Should a person be awarded for spying for a foreign government? SERIOUSLY? SHAMELESS! Pakistan is an abnormality misfitted between truncated India and Central Asia. It is time that Pakistan realizes that partition was a blunder and takes steps to undo it. Peoples of India and Pakistan connected through history and geography, and language and race cannot be separated on the ground of religion. What did they fire with, that it went through bulletproof windscreen? there are two mind sets in Pakistan one group is pro Taliban , who are supporting terrorist groups, they are targeting many doctors, engineers and valuable lives of other sects in the city. Law and Enforcement Agencies are very well known about them but I dont know why they are not taking any action against them???? What's going on with the Karachi law and order situation? What kind of action the govt. (provincial and the federal) is taking to subdue the criminals? if the govt. is strong the law and order situation will be strong too. Unfortunately, Pakistan is lacking of an ideal govt. that should be devoted for the welfare of the people.. Only Allah (SWT) knows well and hope very soon Pakistan would be able to overcome her internal law and order crisis!